Back in November, Reuters published an article titled “Twitter co-founder hopes to create news network” where Biz Stone mulled over the idea that Twitter could create a social news firehose based on verticals. While the erroneous headline ended up being debunked by Twitter, some hypothesized that this could work if news organizations were given access to all tweets on a given topic as well as the power to curate the stream. Back then my colleague MG Siegler said there was clearly something to this idea. MG is right (sigh) namely because it is already happening. Humans are functioning as defacto news aggregators using the publication tools already available. This, while not a novel idea, really hit home in the past two weeks with the two subsequent revolutions in Tunisia and Egypt. What I and you probably noticed was that interested people we followed took it upon themselves to become individual nodes of information, using the tools they had to serve as their own news networks. As we struggled to make sense of local conditions, volunteer news conduits who made an effort of curating information gained attention as go-to sources for #Egypt news. Coverage like CNN’s Ben Wedeman’s became more important than that of any mainstream publication’s with the possible exception of vanguard Al Jazeera. In essence these people went beyond citizen journalism and became their own publications. The Egyptian news nodes/amplifiers included but are not limited to @arabist, @nolanjazeera, @evanchill, @sandmonkey ,@ianinegypt, @ioerror, @acarvin, @ethanz @Brian_Whit, @danny_at_cpj, @SultanAlQassemi, @monaeltahawy, and @litfreak. On site in Egypt, Director of Google Ideas @JaredCohen actually dictated his tweets over the phone this week, reverting back to a decades-old means of communication in order to push through information to a more modern one. Silicon Valley angel investor Shervin Pishevar took it upon himself to tweet out so much information related to #Egypt that he actually started an off-Twitter movement (OPENMESH) focusing on creating an easily applicable system of open mesh routers in order to prevent a similar internet blackout from happening again. The case of Pishevar becoming his own publishing platform was so acute that YouTube Product Mangager Hunter Walk labelled him the Shervin News Network. Pishevar ended up tweeting so much he went over the rate limit set by Twitter. 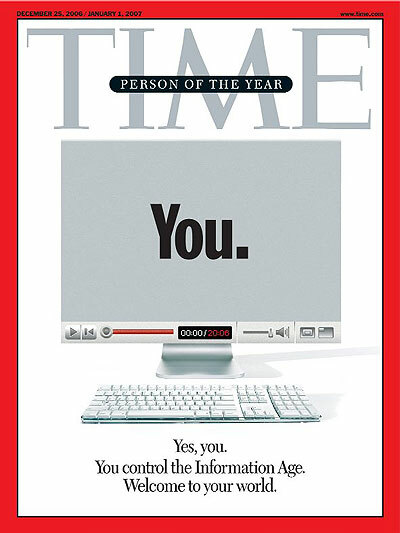 The ‘”You” News Network’ isn’t just found on Twitter. On YouTube user “Wael Abbas” is calling himself the “The first Egyptian digital video channel” and posting on the ground coverage including cars being set fire to in the streets. User “Justimage” posted Egyptian protest videos from Tahrir Square just 11 hours ago, an impressive feat given the general communication breakdown. Facebook Pages are serving as the locus of anti-Mubarek protest news. Independent niche bloggers like Arabist were the first to report the total Internet black out. After its Cairo office was shut down over the weekend Al Jazeera urged Egyptians to “send blog posts, eyewitness accounts and videos to expand coverage of the uprising against President Hosni Mubarak” to supplement coverage. There are plenty of non-revolution type examples as well, whether it was Blake Housnell dissecting individual WikiLeaks over Twitter or Christine Lu debunking the WSJ’s Tiger Mom story on Quora or the people who liveblog #American Idol or the #SAGawards or WikiLeaks itself. Indeed, much like the routers of Pishevar’s OPENMESH, we all now serve in one way or another as routers for information. In a world where 88% of the press is still not entirely free, the ability to self-publish and distribute is a enormous and beautiful thing. Just wait until Egypt gets back online. Here’s an interview with Pishevar, below.